There is a different charm of small eyes and a separate look altogether. But some brides vouch to play it out of the ordinary on their wedding day. Making your eyes look bigger and brighter on the day is pretty easy. 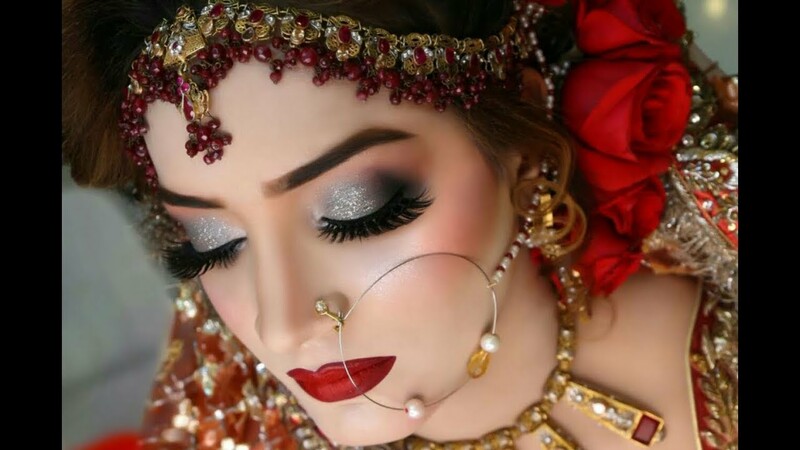 Here are some awesome bridal makeup tips to rock your eye makeup for the most special day of your life. A few eye makeup tips to get that oh! So beautiful look have been enlisted below, read on and gear up. If you want to make your eyes look bigger and wider on your wedding day, go for 3D bridal eye makeup. You can ask your beautician to use dark kajal stick on your lower lid and make the outer edge of your eyes look more intense. You can add the drama and select the tone according to your preference. Break all rules and colour your eyelid in vertical stripes instead of going bottom-to-top. The darkest colour should be kept at the outermost. Eyelashes are like bird’s feathers, you can make them look exceptional. Enhance your eyelashes by curling them and focus on the volume. Apply generous layers of mascara thereafter. Suggestively, select deeper colours for your eyelashes. Eyeliner can be the showstopper for your look. The eyeliner needs to be on-point when it comes to bridal makeup. Make sure that eyeliner on the upper lid is not too thick. Instead opt for a thin, long and neatly pointed and extended wing. 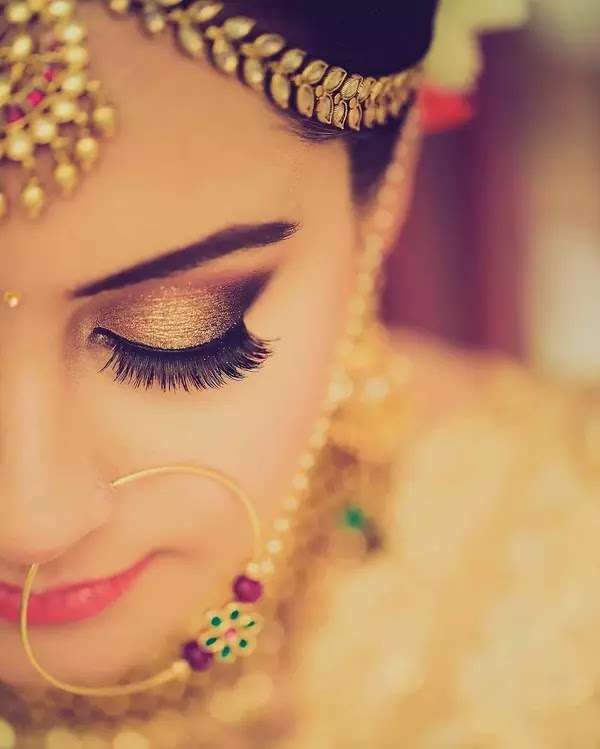 Among the most important bridal makeup tips given by professionals, you can use the eyeliner on the lower lid as well, however, do not apply it on the inner corners of the eye as they can make your eyes look smaller. Eyebrows is the essential when it comes to framing the face. Your eyebrows should be neatly formed. Any extras must be plucked and cleaned. If you form the arches right on the eyebrows make sure that they are dark and emphasised. You will end up getting sharp look and have a great frame on your eyes with an elongated look. When it comes to makeup trends, small eyes have a great bond with the cat eyes. The eyeliner and eyeshadow must be drawn and shaded in an elongated shape and extend beyond the eyes, typically stopping right before where the eyebrows end. This style of makeup helps make the eyes look more shapely and attractive. So, go on to follow these bridal makeup tips for your eyes and make your eyes look bigger and wider.